남태일님은 스카이72 코스팀 및 코스관리의 모든 시설을 총괄하는 실장으로 재직 중 입니다. 상지대학교 식물자원학사를 졸업한 뒤, 양산대학교 호텔관광 석사를 2004년에 마쳤습니다. 남태일 실장은 동부산 컨트리클럽 및 에이원 컨트리클럽에서 코스 공사 및 관리 경험이 있습니다. 또한 한국 잔디연구소의 그린키퍼학교를 졸업하였습니다. 스카이72에서는 2005년부터 재직 중 입니다. 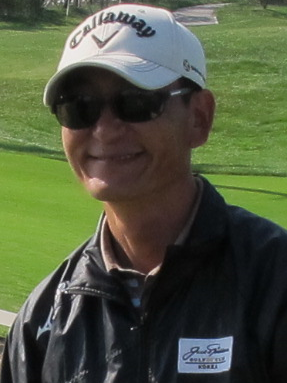 Nam Tae-Il serves as the General Manager of the SKY72 Course Team and in such capacity overseas all golf course maintenance operations at SKY72. Nam Tae-il is a graduate of Sang-ji University, where he earned a degree in Resources and Botany, and he received a Masters in Hotel and Tourism from Young-san University in 2004. Nam’s experience includes construction and management of Dongbusan CC and A-One CC. 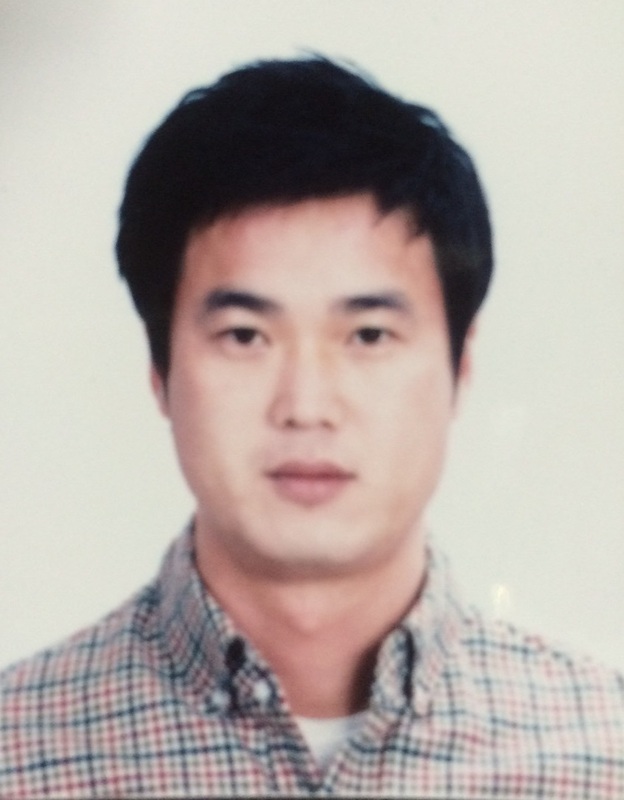 He is also a graduate of the Korean Turfgrass Research Golf Course Superintendent School. He's been at SK72 since 2005. 양태석님은 니클라우스에서 디자인한 스카이72 오션코스에서 부팀장으로 재직 중이며 SK텔레콤과 같은 몇 번의 국제적 토너먼트 챔피언쉽과 6번의 LPGA 대회를 준비하고 개최 하였습니다.양태석 부팀장은 거의 10여년의 골프 코스 관리 경험을 갖고 있으며 계룡 컨트리클럽과 샌드 파인 골프 클럽에서 근무한 경험을 갖고 있습니다. 스카이72 골프클럽에서는 2007년부터 재직중 입니다. Yan Tae-Seok is the Manager of the Nicklaus Design, Ocean Course at SKY72 and has played a key roll in directing the preparation of several international tour championships including the SK Telecom and six LPGA annual championships held on the Ocean Course. Yang has nearly a decade of experience on golf courses including Kae Ryong Country Club and Sand Pine Golf Club. He joined SKY72 Golf Club Resort in 2007. 조민님은 스카이72 프리미엄 코스인 하늘코스에서 팀장으로 재직 중이며 하늘코스는 인천국제공항의 인접하고 있으며 아름다운 바다경관을 볼 수 있습니다. 조민팀장은 하늘코스에서 매년 열리는 국제적 기준의 다양한 국내대회인 KLPGA와 KPGA 대회를 준비하고 개최하였습니다. 매년 18번홀 그린에서 챔피언 세레모니를 하는 동안 KLPGA에서는 조민팀장과 환상적인 코스 준비 상태에 대해서 이야기 하고 있습니다. 조정이님은 한국여자프로골프협회(KLPGA)의 경기 위원으로 재직 중이며 스카이72의 LPGA 외환 하나은행 챔피언쉽이 진행되는 동안 오피셜 연락위원으로 활동 하고 있습니다. 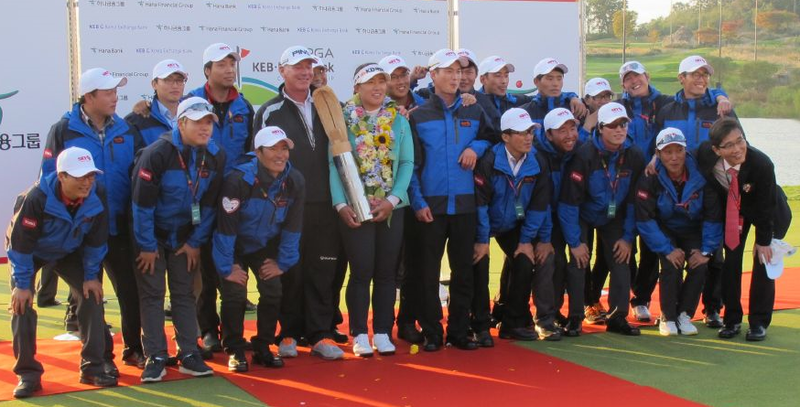 경기 위원으로서 조정이 위원은, 다른 KLPGA 위원들과 함께 한국의 투어 챔피언쉽 코스 셋팅 및 마킹을 하고 있습니다. 많은 코스에서 대회 준비 팀과 함께 업무를 수행하고 있으며 대회 기간 동안 선수들에게 골프 규칙과 관련한 사항을 지원하고 있습니다. 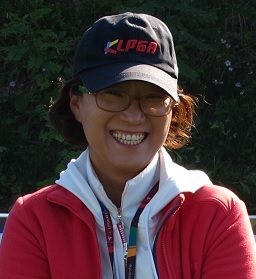 Cho Jung-Yee serves as a regular Rules Official for the Korea Ladies Professional Golf Association (KLPGA) and also serves as a liaison official during the annual LPGA KEB HanaBank Championship at SKY72. 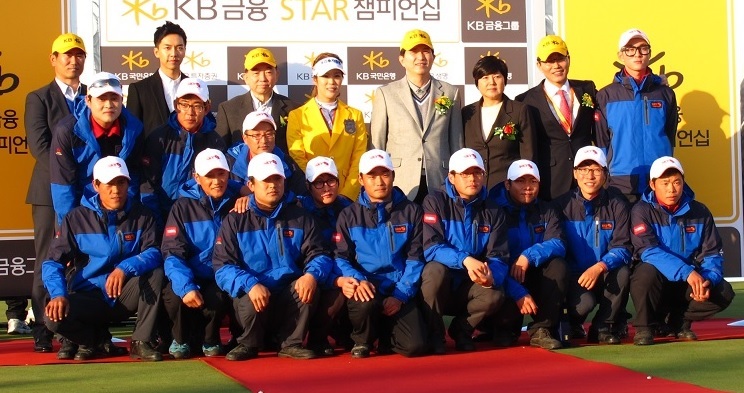 In her capacity as a Rules Official, Ms. Cho works with other KLPGA officials to set-up and mark golf courses for regular tour championships throughout Korea. She regularly interfaces with the management teams of many courses and also serves to support the KLPGA players with golf rules during events. 제임스(짐) 그라함 프루사님은 1968년부터 관련 업계에 종사하고 있습니다. 배트남 전쟁에서는 미해군 아시아 태평양 비행 전자 무기 및 태풍 정찰 임무를 수행하였고, 이후 1977년부터 캘리포니아의 파사티엠포Pasatiempo 골프클럽의 코스관리 팀장으로 재직하였습니다. 1982년에는 미국 코스관리자 협회(GCSAA)의 교육 국제 이사를 역임하였습니다. 동 기간 동안 골프코스 매거진(GCM)의 기술 편집장이자 최고 운영 책임자(COO)로 근무하였습니다. 이 기간 동안 지금이 GIS라고 불리는 컨퍼런스 및 박람회의 교육 프로그램을 완전히 새로운 방향으로 설정하였습니다. 지난 수십 년 동안 제임스는 팔로 알토 대학에서 서비스 시설관리 코스 및 새로운 학위 프로그램을 개설 하였습니다. 제임스는 또한 켐퍼 스포트 관리 협회와 협력하여 PGA 투어의 농경학 담당자로서 하딩파크Harding Park 골프클럽의 리노베이션과 2005년 월드 골프 챔피언십(타이거 우즈 우승)을 성공적으로 개최하였습니다. 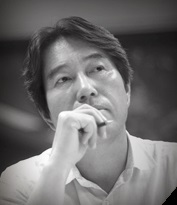 일본 태평양 골프 관리KK(PGM)의 골프코스 관리 이사 및 총괄 책임자로서 2005년부터 2010년동안 재직하면서 일본 전역에 있는 135개의 골프코스 시설을 관리 하였습니다. 2010년부터는 스카이72 코스 본부장을 역임 중 입니다. 제임스는 미국 골프 연합(USGA)의 회원이자 잔디 연구 위원회 회원이며; USGA 그린 섹션 연구회 회원으로 활동 중이며; USGA 골프 규칙 오피셜로 14개 US 오픈 챔피언십을 관장하고 있습니다. 제임스는 교양과목의 학위를 가지고 있으며, 칼 폴리 포모나의 농학 및 비즈니스 관리 학위와 함께 산타클라라 대학원의 비즈니스 스쿨과 스탠포드 대학원의 비즈니스 과정을 수료하였습니다. 아시아 골프 산업 협회(AGIF) 회원이자 한국코스관리자협회의 명예 회원 입니다. 또한 전문 스쿠버 다이버이며 PADI의 오픈 워터 다이버 강사 자격증을 보유하고 있습니다. 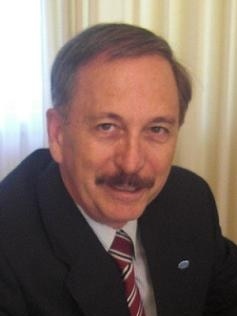 James (Jim) Graham Prusa has been engaged with Asia since 1968. After Vietnam War service flying electronics warfare missions and typhoon reconnaissance in Asia Pacific for the US Navy, he became the Superintendent of Buildings & Grounds in 1977 for Pasatiempo Golf Club in Santa Cruz, California. In 1982 the Golf Course Superintendents Association of America (GCSAA) recruited him as their national Director of Education. While concurrently serving additionally as the Technical Editor of GOLF COURSE MANAGEMENT (GCM) Magazine and Chief Operating Officer (COO), he completely redirected the association’s certification and education program as well as the Conference and Show that is today called the GIS. Over the last few decades, Prusa taught college Hospitality Management courses and established a new degree program in Golf Course Management at Palo Alto College. He was engaged by KemperSports Management as western Director of Agronomy to liaison with the PGA Tour and the City & County of San Francisco to renovate Harding Park GC for the highly successful 2005 World Golf Championships, American Express (won by ‘Southeast Asia’s’ Tiger Woods). He was Director, Golf Course Maintenance Services, Operations Division for Japan’s Pacific Golf Management KK (PGM) in late 2005 until 2010 for PGM’s large portfolio of 135 golf course properties located throughout Japan. Since 2010 he is the Director, Golf Courses and Laboratory for SKY72. He’s a past member of the United States Golf Association (USGA) Turfgrass Research Committee; and served as an active member of the USGA Green Section Committee; he also served as a USGA Rules Official for 14 US Open Championships. Prusa holds degrees in Liberal Arts, Agriculture and Business Administration and attended Cal Poly Pomona, Santa Clara University Graduate School of Business and Stanford University Graduate School of Business. A member of the AGIF, CMAA - Asia Pacific and an Honorary Member of the GCSA of Korea, Prusa is also a professional scuba diver and PADI open water diving instructor. 스카이72 장비팀은 주요 장비 구입에 관하여, 구입시 선택사항, 리스 구입대비 현금 구입, 가장 좋은 장비 관리방법 및 안전 관리에 대한 정보를 제공할 것 입니다. The SKY72 Fleet Team Managers will present information on capital equipment planning, purchasing options, capital lease versus purchasing, equipment maintenance best practices and safety managment. This seminar will also include a hands-on equipment operator certification session conducted by SKY72 certified trainers. Micah Woods is Chief Scientist at the Asian Turfgrass Center located in Thailand where he resides. He is also an adjunct professor in the Department of Plant Science at the University of Tennessee. He grew up in Oregon and studied horticulture at Oregon State University; then worked for three years as a golf course superintendent in China and Japan. From 2001 to 2005 he studied at Cornell University in New York, writing his dissertation about nutrient availability to turfgrass grown in sand rootzones. In 2006 he founded the Asian Turfgrass Center and has been doing research and sharing turfgrass information throughout Asia and in more than 20 countries. 글랜 라이트님은 제콥슨의 아시아-태평양 지역 장비 교육 담당자로서, 골프산업에서 30년 이상 근무한 경험을 가지고 있습니다. 제콥슨에서는 10년 이상 근무 하였습니다. 싱가폴을 기반으로 글랜은 아시아-태평양 지역의 고객 및 판매자를 대상으로 하는 교육 및 방문을 지속적으로 하고 있습니다. 또한 해마다 영국 및 미국의 샬롯에서 제콥슨 엔지니어 교류 활동을 통해 아시아-태평양 지역의 제콥슨 장비를 사용하는 고객이 필요한 정보를 장비 제작팀과 공유하고 최신 장비에 대한 정보를 업데이트 하고 있습니다. 글랜은 스프레이 장비를 사용과 관련하여 최상의 정확도와 비용적 효율에 대한 광범위한 지식을 가지고 있는 국제적인 전문가로 알려져 있습니다. of customers in Asia-Pacific with Jacobsen’s Product Development team. He is recognized internationally as an expert in the knowledge area of calibrating a wide variety of chemical sprayer equipment for maximum accuracy and cost efficacy. 양동준님은 바이엘 크롭 사이언스의 환경 과학부분 마케팅 매니저 입니다. 양동준 차장은 경희대학교의 원예학사를 가지고 있으며, 국립 충북대학교의 곤충학 석사 학위 및 휴넷 대학의 MBA를 보유하고 있습니다. 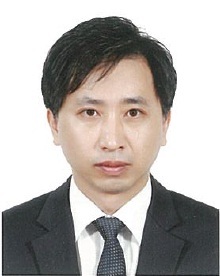 Yang Dong Jun is Marketing Manager, Environmental Science for Bayer Crop Science Company. He holds a Bachelor degree in Horticulture from Kyunghee University, a BA in Business Administration from Korea National University, a Masters degree in Entomology from Chungbuk University and an MBA from Huenet. 존 프라이어님은 세계22개국의 200개 골프코스와 관계 되어 있습니다. 존은 아시아 및 호주의 관개시설 디자이너 보다 많은 현장경험을 각국을 방문(1991년부터 여행)하면서 얻고 있습니다. 존은 엔지니어링과 프로젝트 관리에 컴퓨터를 적용하는 기술을 가지고 있습니다. 존은 초창기 시절을 랄프 사리치 궤도 엔진 연구소에서 보냈습니다. 이후 1989년부터 물을 관리하는데 필요한 모든 사항들; 관개, 배수, 관리 및 건설 부분을 연구하는데 보냈습니다. 1991년부터 2001년동안 존은 싱가폴에 거주하였으며, 하이드로 스케이프(호주의 하이드로 골드 자매 회사)를 설립하여 아시아 지역의 골프코스의 지속적인 물 관리 방법과 관련하여 현재까지 일하고 있습니다. John has been personally involved in over 200 golf courses in 22 countries. His travel (averaging one international flight a week since 1991) has provided him a wider on-site experience than any other irrigation designer in Asia or Australia. John comes from a background of computing applied to engineering and project management. His early days were spent at Ralph Sarich's Orbital Engine Research. After leaving there in 1989, his career has covered all facets of water management; irrigation, drainage, management and construction. From 1991 to 2001, John resided in Singapore. From this base, he established Hydroscapes Pte Ltd (the Singapore sister company of the Australian Hydrogold Pty Ltd) as the foremost water management consultancy involved with golf courses in Asia. That base remains today.